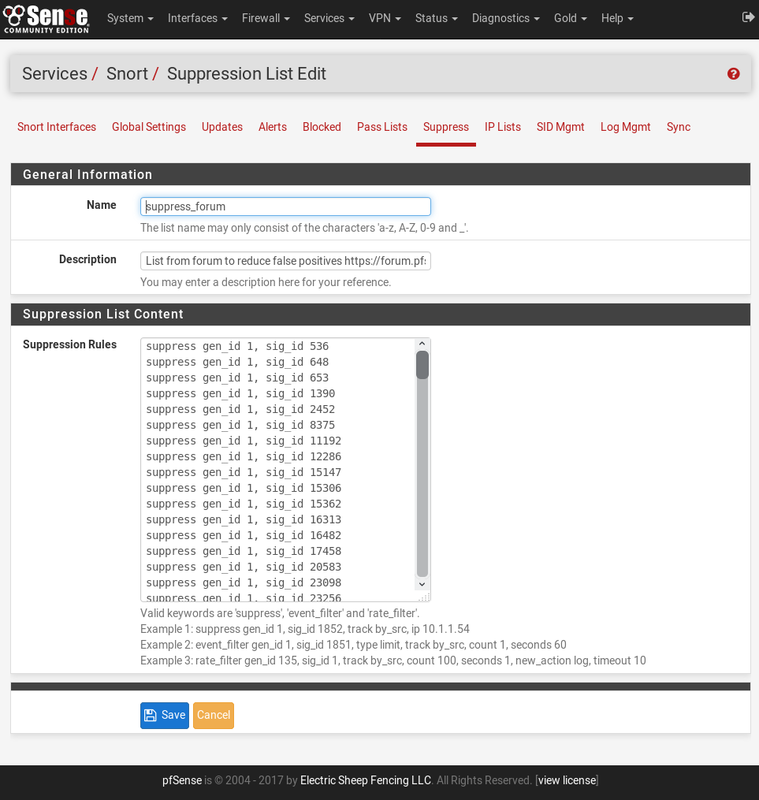 Suppression Lists allow control over the alerts generated by Snort rules. When an alert is suppressed, then Snort no longer logs an alert entry (or blocks the IP address if block offenders is enabled) when a particular rule fires. Snort still inspects all network traffic against the rule, but even when traffic matches the rule signature, no alert will be generated. This is different from disabling a rule. When a rule is disabled, Snort no longer tries to match it to any network traffic. Suppressing a rule might be done in lieu of disabling the rule to stop alerts based on either the source or destination IP. For example, to suppress the alert when traffic from a particular trusted IP address is the source. If any other IP is the source or destination of the traffic, the rule may still be desired. To eliminate all alerts from the rule, then it is more efficient to simply disable the rule rather than to suppress it. Disabling the rule will remove it from the list of match rules in Snort and therefore makes for less work Snort has to do. 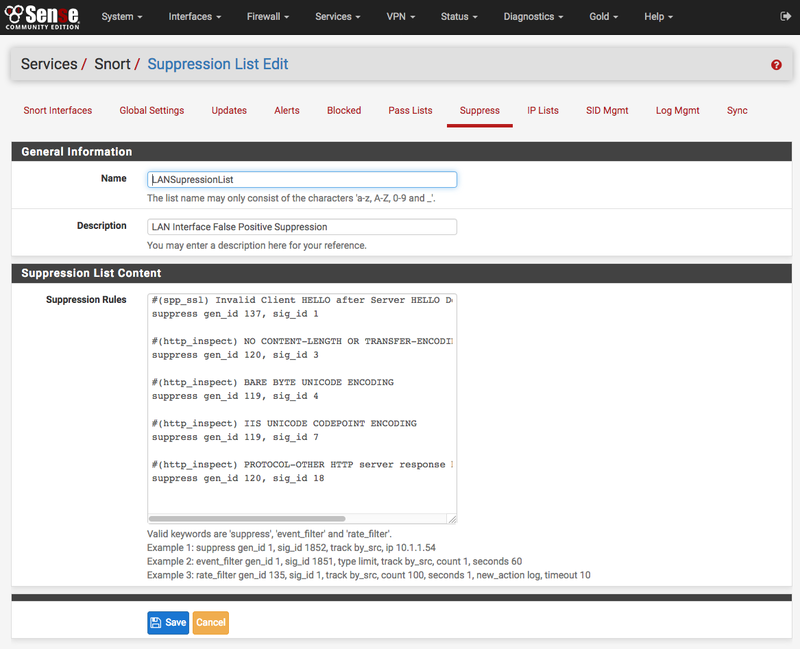 On the Suppress List Edit page, suppress lists may be manually added or edited. It is usually easier and faster to add suppress list entries by clicking the icons shown with the alert entries on the Alerts tab. Remember to click the SAVE button to save changes when manually editing Suppress List entries. Lists with comments are easier to manipulate and fine tune. Neither screen shot shows IP address suffix in a suppress entry.